The 20-inch behemoth tablet from Panasonic that we came to know as "just a prototype" may actually see the light of a sales outlet sometime this year. 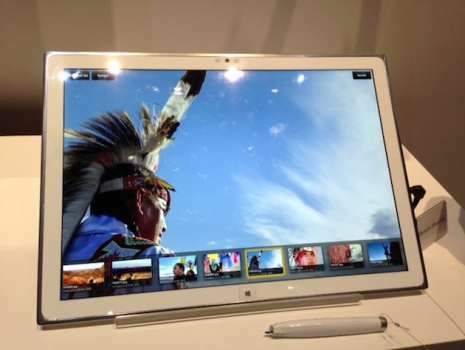 Back at CES, Panasonic had shown off a prototype tablet which measured 20 inches diagonally and ran Windows 8. The real show stealing highlight though happened to be the fact that it sported a 4K resolution display, which for the uninitiated, is 3840x2560 pixels, giving it a pixel density of 231 ppi. If the latest reports are the believed, it would seem that both Panasonic and Microsoft are readying the 4K Windows 8 tablet for a consumer release sometime this year. Given the tablet’s size and resolution, it would work splendidly for artists and architects and other such professionals who require large real estate to work on digital artwork. The Panasonic-Microsoft tablet could also work well in business offices as interactive user interfaces for kiosks etc. 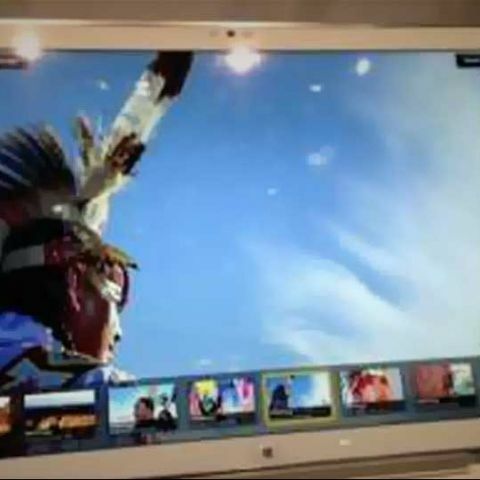 As of now, all we know about the tablet is that it has a 20-inch screen and runs Windows 8 on a 4K-resolution LCD. We are not sure whether this is a Windows RT tablet, Windows 8 Pro. We don’t even know what sort of processor, RAM or storage this tablet has as of yet, but given the Panasonic is reportedly readying this for a release this year, we expect more details to be coming out soon.